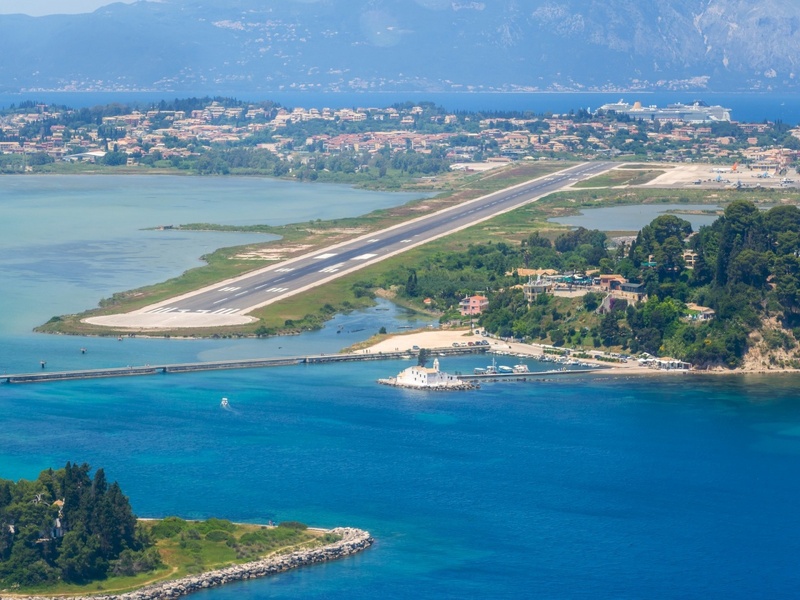 The island of Corfu can be reached by plane as there are daily domestic flights of a duration of approximately 50 minutes from the airport of Athens 'Eleytherios Venizelos' (phone number: 210 3530000) and the airport of Thessaloniki 'Macedonia'(phone number: 2310 425011-20). There are two companies that serve the routes: Olympic and Aegean (tel 0801 11 20000, Greece). Corfu is also well-connected to many European cities through charter flights. There are as well many alternatives to reach Corfu by ship. There are many daily ferry departures from Igoumenitsa, including both the 'open' and 'closed' type of ferries. Bigger ships depart from the port of Patra with destination Italy and Corfu as an intermediate stop. You can reach the island also by car or the public bus service KTEL, offering daily departures from Athens or Thessaloniki and intermediate stations. The price is approximately EUR 30. For information about the schedules and times of departure, you can call the relevant agencies under following telephone numbers. KTEL of Athens: 210-5129443, KTEL of Corfu: 26610-30627, 39985 and KTEL of Thessaloniki: 2310-52860.